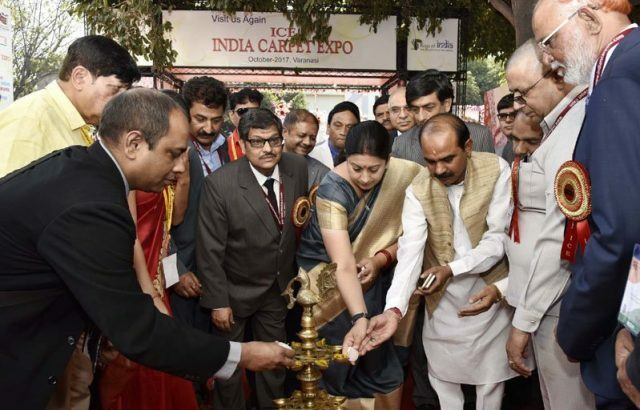 New Delhi: The 33rd Edition of India Carpet Expo, being organized by Carpet Export Promotion Council, at Pragati Maidan, New Delhi, was inaugurated by the Union Textiles Minister, Smt. Smriti Zubin Irani today. 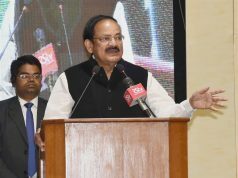 Minister of State for Textiles, Shri Ajay Tamta and Member of Parliament, Bhadohi, Shri Virender Singh were also present on the occasion.